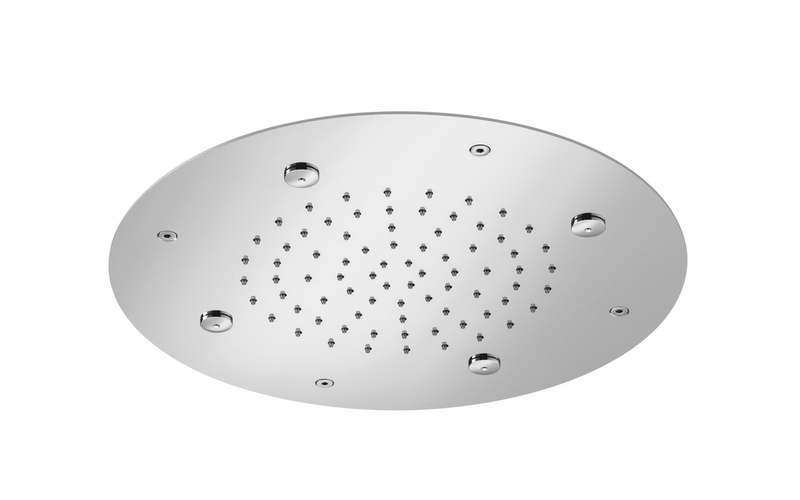 Another beautifully simple, understated shower head from Aquatica, delivering form with function in a versatile circular design. This Spring model is a built-in ceiling shower featuring a flush-mounted plate finished in stunning stainless-steel - elegant simplicity no matter what your bathroom mood. The no-frills straight cut edge of the shower head and the flush jets demonstrate the principle of less is more beautiful. At 15" (380 mm) round, and with a generous jet configuration, it delivers a luxurious flow of water, rain-head style to cleanse, refresh and rejuvenate.